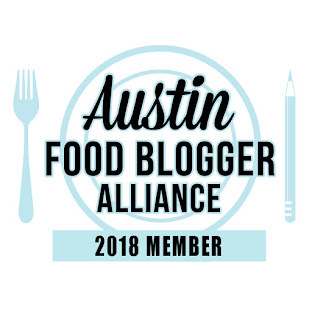 I am a member of the Austin Food Bloggers group on Facebook, which was created by Addie Broyles, the food editor of the Austin American-Statesman. She sent out a post last week, asking if people would like to be involved in a project that raises issues about hunger in our community. The basis of the project is to cook from foods that a typical food bank recipient would receive. A group of about two dozen met at the Capital Area Food Bank on Wednesday evening. We were greeted and given an incredibly informative tour from Lisa Goddard, their Online Marketing Director. At this point, I am ashamed to say I had never been to the CAFB before, and one of their volunteer coordinators is a friend of mine. When I was in high school, I was very active in hunger & homelessness issues, and had volunteered a bit at a food bank, and I think once in college, a one-day project took us to one. 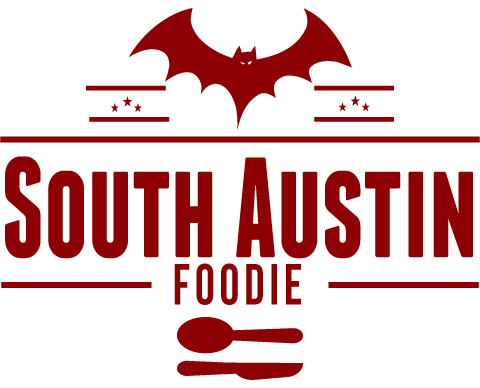 I've lived in Austin for HOW LONG now?? Let me first share some of the sobering information Lisa gave us. CAFB houses a 60,000 square foot warehouse, where they sort and organize food for donations to over 350 partner agencies in Travis and 20 counties. Of these agencies, 95% say they could not stay open without the support from CAFB, which relies on donations from stores such as HEB, Walmart & Randalls as well as the US Dept of Agriculture. CAFB is the second largest distributor of produce in the US, behind New York City. Last year, they donated over 23 million pounds of food, up from 17 million the year before. Obviously with the economy in the doldrums, the need for food and resources has increased in the past year or so. But just because some one is receiving food from a food bank, it doesn't mean that person or family is homeless. That's one of the biggest misconceptions out there....in fact 82% of the population served are not homeless. I could go on and on; please see the CAFB website for more stats and eye-opening info. So if a family were to visit one of CAFB partner agencies and pick up food, the following list is typical of what they would receive. For a month. Yes, month. With any luck, that family would also have other funds, whether from food stamps, wages, or what have you to supplement this list as you'll notice there's not a ton of nutritional balance on this list. Fresh produce, dairy, and additional protein are kind of missing. (Though apparently fresh produce donations is a rapidly growing category at CAFB.) 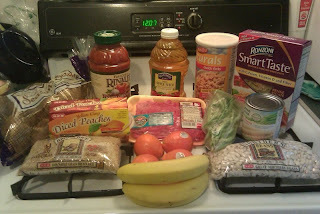 So my challenge: to shop for a similar list, and try to create balanced meals. I went to HEB on Thursday...it took me an hour to shop this! I have always been a label-reader, at least in terms of ingredients. I have extreme aversions to high fructose corn syrup, additives & preservatives, and high fat & high sodium labels. I buy very little processed foods in my "normal" life. A frozen pizza here and there (but generally better quality ones with ingredients you can recognize) and some chips now and then, but I am in the habit of cooking, because it is something I am good at, and something I enjoy. And yes, I am a food snob (there, I've said it!).... I couldn't bring myself to purchase a hamburger helper type meal or canned green beans. I bought items I knew I would eat whether for this project or not, though I fully know that's not the point of this exercise. Mea culpa. I spent $15.58 on my groceries. I shopped for items on the above list, as if I were a food bank recipient, and then I also supplemented with a few fresh produce items, with my "food stamp" money. Some of the things I didn't buy, and would assume (though we all know where that gets us...) that clients would have oil for cooking, salt & pepper.... I had yellow onions, garlic, parmesan cheese, fresh herbs at home; luxury items, yes, but not unheard of on a food stamp budget either. I think what shoppers don't always realize is how much they can save by shopping in the bulk foods area of a grocery store. Spices, nuts, grains, flours, often liquids such as honey, balsamic vinegar.... bulk is a bargain! Take advantage of that area! At times it may mean a little more menu planning in advance, but a jar of spices can cost anywhere from $3 on up, and often half the jar goes to waste. 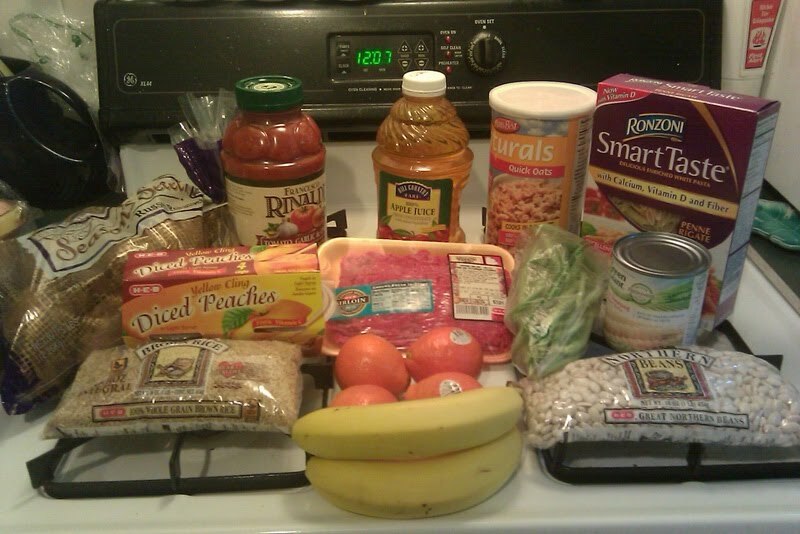 If you can shop in bulk and pretty much just buy what you need, you can jazz up your meal without spending a lot. 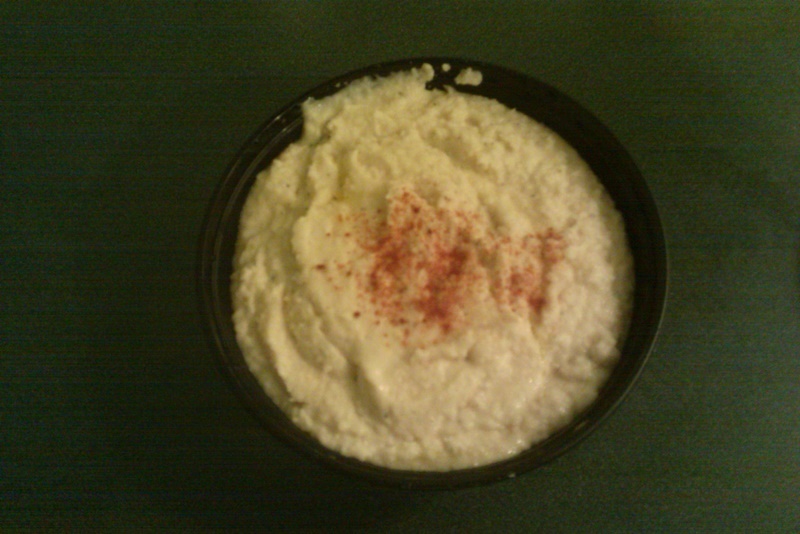 Many bulk departments even have dry soup mixes or hummus mix, which is a great source of protein. 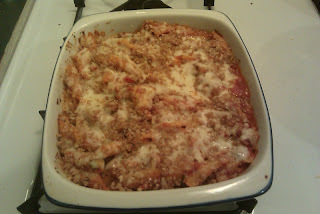 I made a ground beef pasta dish with 1/2 lb of the beef, maybe 10 oz of sauce, and 1/2 the box of penne pasta; I followed a recipe that was on the back of the pasta box. Essentially, brown the beef, add chopped onion & lightly brown, add sauce, & add cooked pasta. I took it one step further by putting it in a casserole dish, topping with a little bit of breadcrumbs & parmesan cheese, and baking for 15 minutes until bubbly. Add a fresh green vegetable, in this case steamed green beans, and you've got some nutritional balance. 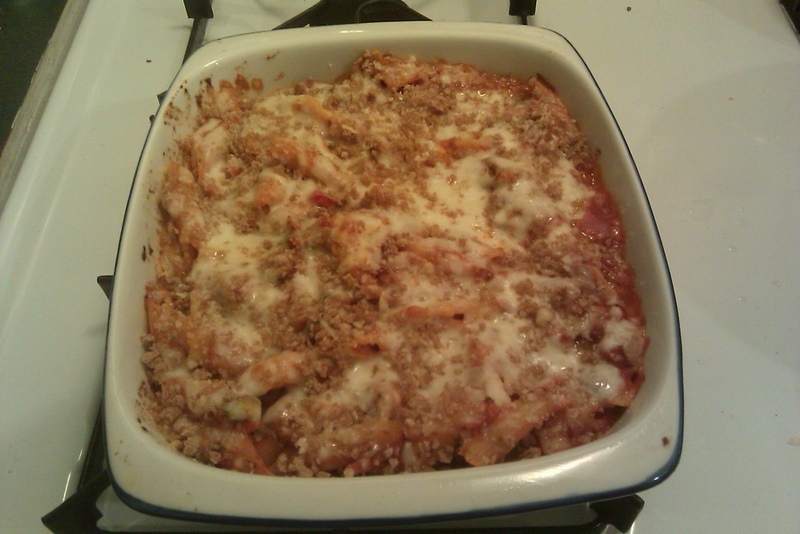 The pasta dish is easily 4 large servings, and more like 6 smaller ones. I also soaked some of the cannelini beans, and made a fresh bean dip, by putting them in a food processor with garlic, fresh thyme, olive oil, salt & pepper. It's a great snack or light lunch with carrot sticks, or a multigrain cracker. 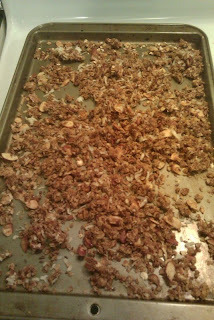 Finally, I made granola from the oats. I don't know why, but granola cereals (well, cereals in general) are some of the most overpriced items! But you can make your own for pennies! I took a cup of the dry oats (say 4 oz by weight, so 27 cents worth, since the 16 oz container was $1.09), mixed it with 2 tablespoons brown sugar, a pinch of salt & cinnamon, 3 tablespoons oil (I used grape seed because I have it, but canola or vegetable would work; I wouldn't use olive oil for this), 3 tablespoons honey, 1/2 cup sliced almonds, 1 tablespoon of flax seeds, and about 1/4 cup flaked coconut. All of these things can be bought in bulk at someplace like Central Market, Whole Foods, Sprouts, New Flower..... and possibly even HEB. Even the Congress & Oltorf HEB, which is not a large store comparatively, has a bulk section (Nature's Harvest? ), where most of these would be found. Combine everything together, and bake at 325 for about 30 minutes, stirring occasionally. 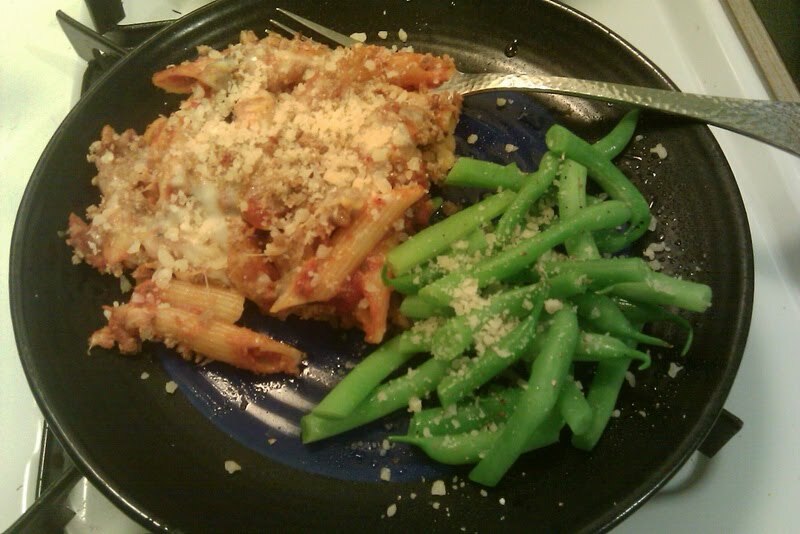 To date, Thursday night for dinner, I ate the pasta casserole & green beans. For breakfast Friday a bowl of oatmeal with a tablespoon of peanut butter added. 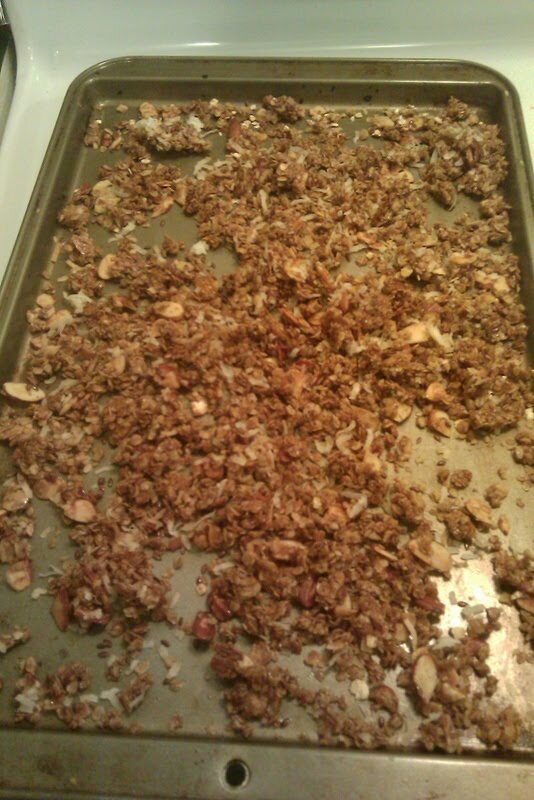 For snack, Greek yogurt (already had it open in the fridge) with some granola. For lunch, white bean dip with carrots & a leftover piece of focaccia bread, and a banana. For dinner, same as Thursday night. And that is my start to this project. I will say now, while I will stick to this for the week as much as I can, I have some work commitments and evening plans that were already in the works, so I can't dedicate every single meal to this. But the shopping process really did make me think about the "what if's".... how can I do better with what I DO have? What can I do, and what can you do? Great work! I love the delicious variety you came up with. Helpful info, too. This project has also made me think about what I already have to use up, and that's an important start. Loved the dip idea! This project has really helped me think outside of the box and use my pantry on a more efficient platform then before.